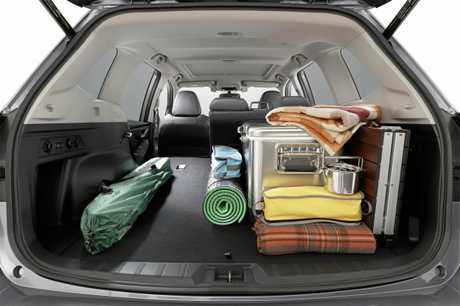 The Subaru Forester MY19 variants offer improved space and functionality. BLAZING your own trail is a tough task with the flood of SUVs on the market. 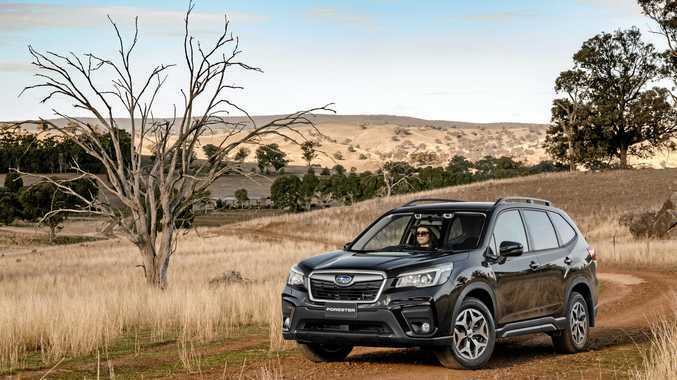 Subaru was one of the originals with the Forester, and while the 2018 variants don't stray far from the original brief, it surfaces as one of the best in the genre. Pivotal to its escalating position among tight competition is standard-setting safety and excelling in the area which was the original inspiration for SUVs - space. Base model 2.5i variants start from about $37,600 drive-away, which comes with strong levels of equipment. 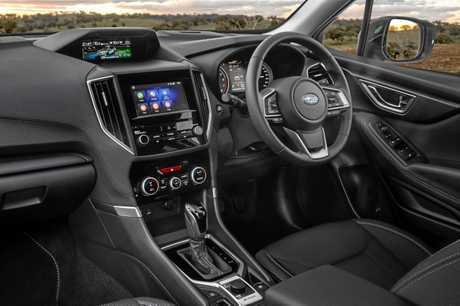 Standard gear includes a six-speaker CD stereo with digital radio and full bluetooth connectivity, 6.5-inch touchscreen, dual-zone aircon, 4.2-inch LCD driver display with digital speedo, push-button start, three 12-volt power jacks and three USB points (two in the back). Infotainment was once a black mark against Subaru. Not any more. 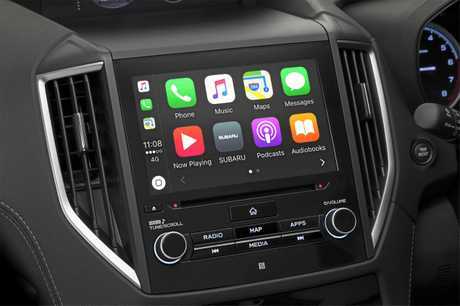 The touchscreen is simple to navigate, and providing extra bouquets for simplicity are smartphone mirroring apps Apple CarPlay and Android Auto which provide brilliant integration with your device. The cabin looks up-market, still busy around the wheel with various toggles and buttons, with the hard wearing plastics restricted to places rarely touched. Warranty coverage is shorter than many rivals at three years/unlimited kilometres, but servicing costs are reasonable at $1277.23 for three years with maintenance annual or every 12,500km (that's an improvement from six months not so long ago). Those wanting some extra bling have a heap of accessories to choose from, like stainless steel cargo steps, all weather seat covers, mud guards, awning kit, silver sill plates and various cargo carrying options for all your sporting equipment. Rarely is this a segment which inspires too much excitement. 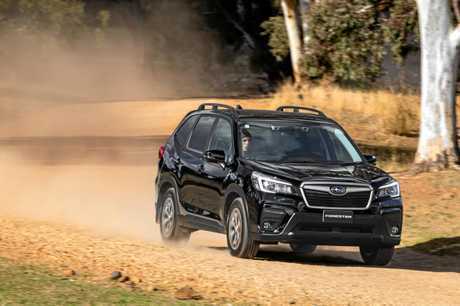 The advances have been brilliant, with the latest must-have inclusion autonomous emergency braking which can apply the brakes automatically if the driver doesn't react, but Subaru has some cool extra inclusions in the Forester. On the mid and top-spec versions is an infrared LED camera that monitors the driver. When prolonged eye movement from the road is detected it beeps - habitual phone users beware. It's outstanding technology, and works most of the time and even when you're wearing sunglasses. All new Foresters also come with a rear view camera, blind spot monitor, lane change assist which warns you if you are wandering from your lane, as well as a radar cruise control that maintains one of three pre-set distances from the vehicle in front, rear cross traffic alert and tyre pressure monitoring. Solid and dependable, the 2.5-litre four-cylinder petrol engine is the only drivetrain choice. Doing the job without fuss, it's not quick, nor is it sluggish. Partnered to a continuously variable automatic transmission, the performance can be flustered if you push hard. Off-roading ability is bolstered with improved entry and departure angles, towing remains at 1500kg with a tow ball rating of 150kg, but it's primary duties will be hauling gear and sporting equipment. There is some body roll in the corners, with ride height of 220mm that's a given, yet grip remains confident with the Bridgestone rubber and all-wheel drive. Vision is outstanding for those up front, and it feels like you're almost sitting in a glasshouse. Those in the back can also appreciate the dimensions with ample space for three adults across the pew. Head and legroom is generous, while the boot offers an awesome space for a wide-range of equipment - and in a rare move you even get a full-size spare. Fuel consumption should be about eight litres for every 100km using regular unleaded. Being "sporty” is more about personal performance rather than the car. I can fit in by bike, board and the kids' gear and I'm not interested in the on-road fashion show. Common-sense rules the roost with impressive internal space and doing a lot of things well make it loveable all the same. The segment top-seller Doesn't have the same internal space as the Subaru, but it's pretty lithe courtesy of a a 140kW/251Nm 2.5-litre/4-cyl/six-speed auto/all-wheel drive system. Safety is close, although it doesn't have the eye wandering analysis, and it has a better warranty. 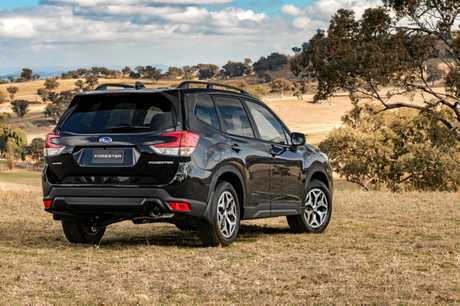 Backed by the same Japanese build quality, it also lacks the cabin prowess of the Forester. Under the bonnet is a 2.5-litre 4-cyl, 132kW/233Nm AWD. Safety tech is solid but infotainment drops behind, overall it's dependable and practical. There is so much to like about the new Forester. It's essentially what started the appeal of SUVs before fashion dictated function. Easy to drive with impressive interior space, if you can afford to get the models with the latest safety tech (about $2000 above the base variant) its well worth the extra investment.